Do your community association members want to have their cake and eat it too? Do they want to have their quid without the pro quo? Anyone who chooses to live in a common interest development and does not understand that by doing so they will be giving up something or that they may need to compromise with other common owners will undoubtedly experience some unfulfilled expectation. These may also be the same people who do not understand that ignorance of the governing documents or applicable law is not a defense to their unfulfilled expectation. 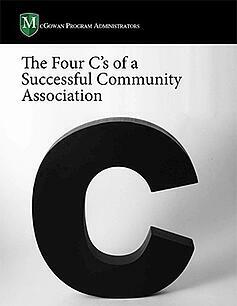 Learn the four key elements supporting a successful community association in our Free Download.